*Warner Bros. Home Entertainment provided me with free copies of the DVD I am giving away in this Giveaway Post. The opinions I share are my own. Being that the boys are big into LEGO anything and especially into the Nexo Knights, I knew they (and likely Kevin) would enjoy LEGO Nexo Knights – Season 1! Even when I asked Dane if he'd like to review it (as if I didn't already know), he quickly said yes and was all about it arriving. LEGO Nexo Knights – Season 1 releases on DVD on July 26th, 2015 from Warner Bros. Home Entertainment including 10 awesome episodes. The synopsis says "The Nexo Knights have technology on their side in their fight against Jestro and the evil powers he has summoned. When the army of dangerous Lava Monsters attack, the Nexo Knights call upon Merlock the Magician, a holographic Wizard in order to defend the Kingdom of Knighton. With their incredible rolling castle and Merlock’s powerful digitized magic, the Nexo Knights are confident as they take on the destruction that Jestro has created in the Kingdom. Will the Nexo Knights be able to defeat Jestro and the Lava Monsters even with their sinister plot to destroy Knighton? 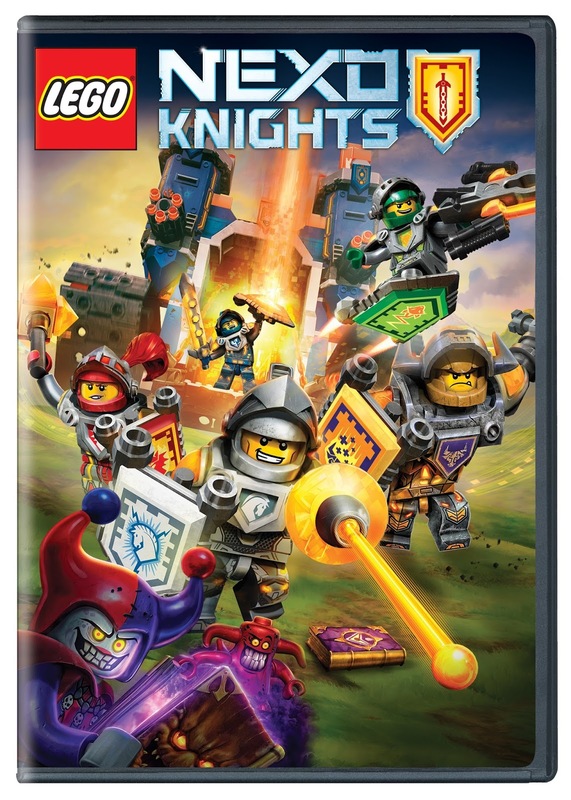 Discover the fate of Knighton as the hilarious Nexo Knights band together to fight evil." They were pumped to see it come in the mail and ready to watch with Daddy that exact moment. Not only were the boys in love, but Kevin thought this was a great DVD. The three of them were quickly obsessed with the movie and all the exciting action throughout. It inspired them to break out their lego sets and little guys to play along with the movie. Declan has literally watched this at least once every day for two weeks since it arrived. Giveaway: Warner Bros. Entertainment is going to give TWO of A Lucky Ladybug's lucky readers LEGO Nexo Knights – Season 1 on DVD of their own!